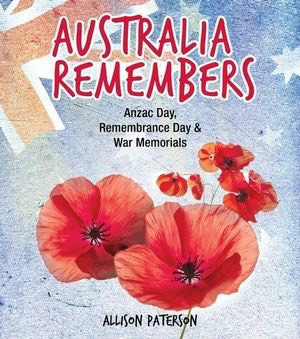 Wednesday 7 November: Ahead of Remembrance Day, the 'Poo Book' Blog is proud to review Allison Paterson's Australia Remembers, as a part of her Books On Tour promotion. The Intro: When I was in primary school, I remember learning more about the Gallipoli campaign and the ANZACs, than any other military effort in Australia’s history. It’s certainly a moment in time etched in my psyche, but I’m not sure I ever really appreciated the sacrifice of the Australian and New Zealand forces, until much later in life. You could say it’s because I never lost a relative in the Great War, or you might turn to the resources used by my history teachers, on the importance of Remembrance Day. Probably both played a part, but it’s a contemporary reference book like Allison Paterson’s Australia Remembers, that really hits home. It’s a best practice example of a non-fiction resource for children, that leaves its mark . Itonveys the truth of Remembrance Day, and the importance of War Memorials for all modern Australian war efforts. About the Author: Like many savvy children’s authors, Allison Paterson has the profession of teacher-librarian on her extensive CV. This specialised type of educator is fortunate to have exposure to a wide range of literature, both factual and fictional, leading to a strong vantage point from which to pen their own books for children. With 20-years teaching under her belt, and many years reviewing for Magpies Magazine, Allison turned her skills to writing history and has become a specialist in junior reference materials for Australian military history. With industry recognition for children’s title Anzac Sons: Five Brothers on the Western Front, Paterson has also had Granny’s Place and Shearing Time published, as well as receiving the coveted May Gibbs Children’s Literature Trust Creative Time Fellowship. Her newly released Australia Remembers, is first in a series of books with the history of war remembrance and the traditions of the Australian defence force at its heart. About the Book: I read Australia Remembers in one sitting. I was drawn to the content, and the way the stories of the ANZACs, Remembrance Day and War Memorials were presented. I usually dread reading reference books for any other purpose than research, but I can honestly say that Paterson found a way to educate me, while genuinely holding my interest. As alluded to previously, this is the type of non-fiction book that can inspire children. It can engender a true empathy for the people of the past, and those that survive them in the present day. Divided into manageable themed chapters, each covering a different aspect of the Australian war efforts and memorial traditions, the text is large and broken up into digestible chunks for the young researcher. Usually break-out boxes drive me to distraction as I feel my attention pulled in too many directions, but Paterson and the layout designer have found a way of making them work. The break-out graphics flow with the main text, rather than fighting against it. The sum of all Australia Remembers factual parts, is both readable and meaningful. I also loved the balance of original source materials (war photos, propaganda posters, and poetry), with quotes and anecdotes from the survivors of war and their relatives. That is the power of this book and its value in keeping a respect for ANZAC alive. Even if you do not have personal experience of war, nor relatives who fought for the cause, you can still walk away from this book more understanding of the true human experience of sacrifice and why so many Australians still commemorate Australian war efforts. Recommended For: With her background in school libraries, Paterson understands the needs of her audience and pitches perfectly to self-readers from the age of 6 to 12. While older primary students will have a greater depth of understanding of the resource materials contained within the book, and be able to work independently with the materials, there are clever engagement techniques for educating younger students. Examples include Did You Know-style snippets of information, as well as craft and cooking-related activities, to encourage a tangible interest in the red poppy of Remembrance Day, and the biscuits of the ANZACs. While a keen student might choose to read the text in its entirety, it is certainly designed equally, as a well-segmented and indexed reference book for project work. This is, after all, often the first step to a love of history in a curious child. I for one, wish that I had had such a book when I was at school. 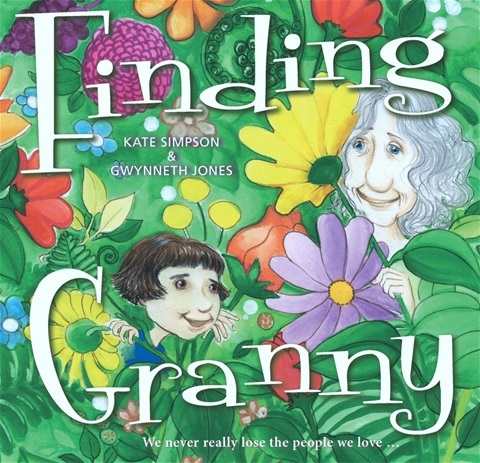 Friday 6 July, the 'Poo Book' Blog is delighted to introduce Kate Simpson and Finding Granny, as a part of her Books On Tour promotion. The Intro: Welcome to the penultimate stop on the Finding Granny #BlogDash for Books on Tour. The ‘Poo Book Blog' is delighted to review this heart-warming picture book, the debut publication for Author and Podcaster, Kate Simpson. About The Author: Securing your first contract in the world of picture books is no mean feat, and Kate Simpson’s path to publication, proves the pay offs of pitching to publishers at industry events. Since securing her big break at the Kids & YA Festival in 2016, Simpson has immersed herself in the world of children’s books, launching the successful One More Page podcast with writing buddies Nat Amoore and Liz Ledden. About The Book: Finding Granny had me at love as fierce as a lion Granny. This is the kind of metaphor that stays with you, and immediately makes you think of that nurturing person in your life, who loved you like a lion, when you were just a cub. Next on my list of things I admire about this book is the building sequence of metaphors, painting a picture of a devoted, hands on grandmother, full of life. an I’m not afraid of some slime Granny. Avoiding an over-use of hyphenated punctuation, the text caters perfectly to the read-aloud age group, in the uncomplicated stages of early literacy. Replicating the chorus-like refrain of a song, is a tried and true technique of classic kid lit. Finding Granny is one of those lyrical stories you can read over and over, delighting children who soon learn them off by heart. This is the success of the book for me. Despite the narrative’s essentially sad premise of an alert, energetic granny falling victim to a debilitating stroke, the narrative avoids falling into over-sentimentality. This is in part due to Simpson’s affirmative use of art therapy to re-bond grandmother and grandchild, but also a testament to the vibrant illustrations and generous use of colour by evocative illustrator, Gwyenneth Jones. The child-friendly depiction of a brain with a band aid is a stand out for me. Rather than despair, this picture book leaves the reader full of hope and appreciative of the author and illustrator’s faithful adherence to the principles of good picture book making. It is also rewarding to see that Kate Simpson’s impressive pitch at a writer’s festival, lived up to its promise and the spark seen by the panel of publishers. Recommended For: Here’s my litmus test for Finding Granny. My 5-year-old started interrupting my reading of the book, asking, ‘is this like my grandma?’ Though he has no personal experience of a granny with long, silver hair, nor a granny disabled by a stroke, the characterisation of a love as fierce as a lion granny and a not afraid of some slime granny, resonated with him. Big tick for universal themes, Kate Simpson! Even if a child is unable to relate to the experience of debilitating illness, we would certainly wish that every child could relate to the feeling of being loved by that special person in their lives. I would highly recommend this layered work of storytelling and illustration, for its intended audience for 4 to 8-year-olds. It is both a flowing and relatable read-a-loud book for children of pre-school years, while meeting the more sophisticated needs of primary students, who can process the deeper issues of the human experience. 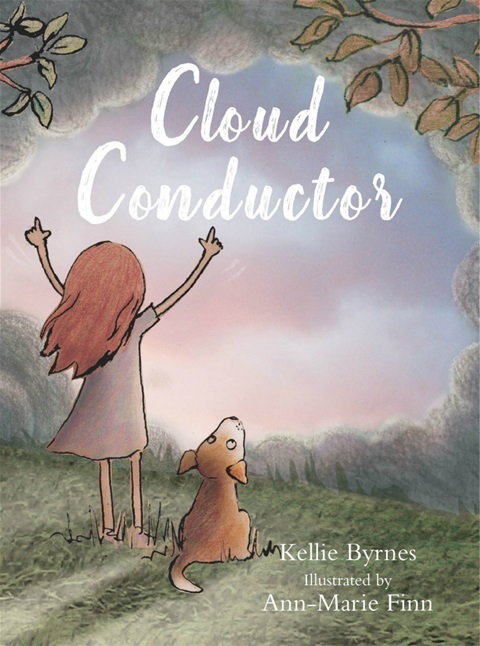 Tuesday 29 May, the 'Poo Book' Blog is delighted to introduce Kellie Byrnes and Cloud Conductor as a part of her Books On Tour promotion. The Intro: Welcome to the second stop on the Cloud Conductor #BlogDash for Books on Tour. The ‘Poo Book Blog' is delighted to review this very special picture book, the debut publication for Author and Freelance Writer, Kellie Byrnes. About the Author: Kellie Byrnes is an exciting new talent in the Australian children’s book landscape. Cloud Conductor is her debut picture book, with another title on the way (Yes! No) in 2019. Byrnes can often be found daydreaming about books, whether penning her next manuscript, or reviewing for the JustKidLit blog. She immerses herself in creativity, whether it be via movies, plays and musicals, or travelling as widely as possible. One to watch! About the Book: Cloud Conductor took me right back to that magical time in my childhood, when I used to lay on my trampoline, seemingly for hours, gazing at the clouds. I imagined all kinds of shapes and figures in the ever-moving, white, billowy masses. I think the author’s mission was accomplished right then and there. This poignant picture book aims to encourage its readers to be cloud conductors, or purveyors of the imagination, and it achieves this in spades. It relies for its resonance, on the universal premise that we can all make out images in the clouds, whether or not we choose to indulge in this pastime. Cloud Conductor tells the story of Frankie, a little girl whose active life is affected by an illness, from which she spends most of the book convalescing. The narrative takes us through the seasons of Frankie’s recovery, and her determination not to succumb to melancholy. Like many children searching for escapism, she turns to the world of her imagination. The clouds are the conduit by which she soars and roars through the brightest and darkest of her days. Her interminable spirit provides a gift to her fellow patients - other sick children who can escape their reality, even if just for a little while, by gazing at the clouds. The sombre palette of the cover bodes a sensitive, or even sad story within, but the reader is soon taken through the full colour spectrum by versatile illustrator Ann-Marie Finn (of Lulu and Eric Finds A Way-fame). Finn conveys the beauty and power of cloudy skies, throughout the seasons. Byrnes’ simple, yet beautifully-crafted text, combines perfectly with Finn’s mixed-media artistic techniques, to contrast the often-confined world of Frankie’s reality, with the boundless world of her adventures in the clouds. Favourite illustrations for me, included the etching of the powerful lion ROARING in the clouds, and the photo realism within the hand-drawing of ‘cloud children’ playing at the beach. Recommended For: As we read together, my five-year-old (with his own ‘wandering mind’), was both captivated by Frankie’s big imaginings, yet also drawn into the sadness of her real-world experience. My comprehension test for him was, What’s happening with the girl in the story? He replied, She’s sick. This, combined with the fact he kept still and didn’t wriggle once during the reading, indicates to me that the book passes the test for its intended audience. It also aces the impress-the-adult-reader test, with its sensitive themes and clever demonstration of creativity. Cloud Conductor is recommended for ages 5 to 8, and though we try to avoid talking about gender, I felt this was a book that would appeal equally to boys and girl. It taps into that part of EVERYONE’s psyche, that is fascinated with the clouds. Who doesn't love the idea that we can escape our troubles, if we only just yield to the world of our imagination? This is a perfect book for reading to early primary age, yet also pitched wonderfully to children who enjoy the pleasure of reading picture books to themselves. I can only imagine the comfort a book like this would provide, to a child experiencing illness, or perhaps bullying. If we refuse to stop dreaming, we can find the inner strength to overcome almost anything. Sunday 8 April, the 'Poo Book' Blog is delighted to introduce Carolyn Denman and The Sentinels of Eden series as a part of her Books On Tour promotion. The Intro: Welcome to the first stop on the Sentinels of Eden #BlogDash for Books on Tour. The ‘Poo Book Blog' is delighted to review Songlines, Book One of Carolyn Denman's young adult fantasy series, in advance of her latest release - Sympath (Book Three). About the Author: Like many authors, Carolyn Denman comes to writing from a diverse background. Her major at University was science and she now works as a mortgage-broker. She indulges her creativity by writing fantasy fiction for young adults and also manages to run a hobby farm, raise a family and feed 63 baby axolotls! They say if you want a job done right, give it to a busy person. Carolyn Denman proves this adage with The Sentinels of Eden, a skilfully written, speculative fiction series. About the Book: In the debut novel of this original series, we are introduced to a world of mixed mythology and supernatural powers, juxtaposed with the everyday realities of teenage coming of age. Songlines seems at first, like any other teen angst drama, magnified by the pressures of graduating high school in a small country town. The story soon takes an interesting turn though, with a tense run-in between heroine Lainie's Aunt Lily, and mining company Kolsom. The corporate power begins exploratory sampling a little too close to Lainie's family's sheep farm, in the Victorian Wimmera region. This opens a pandora's box of family secrets including the revelation that Lainie is in fact a Sentinel of biblical Eden, and she is sworn to protect the hidden entrance to this mythological world, located in the heart of country Victoria. Like any work of speculative fiction, the key to enjoyment is suspending your disbelief. Fantasy fans will take this as a given, but I must admit the question for me was why Eden? It's a Christian construct. Why not The Dreaming - an Indigenous Australian mythology? After all, Lainie and her best-friend Noah, have indigenous blood in their veins, and one of the senior Sentinels is a local Aboriginal elder. Still, I couldn't deny that with the legend of Eden, Denman has drawn on a familiar Western paradigm to which readers will relate. She has then infused it with the concept of songlines - the indigenous spirit of care-taking for sacred land. Songlines is readable and relatable. It grounds a fantastical course of events in the realities of an Australian farming community, where livelihoods are hard come by and communities are small, providing a strong sense of belonging, yet also the tensions of feeling trapped. Add to this volatile mix, four teenagers with raging hormones, family skeletons and identity crises, and you've got all the ingredients of great YA drama. Every teenager (and even some adult readers) will identify with those early turning points where we must make big decisions in life, love and career, knowing that we aren't really ready for it. Will we make the right decision? Will Lainie make the right decision? Learning she is of superhuman origin and that the fate of Eden's safety rests on her shoulders, is an intimidating realisation. This, coupled with the fact that her soulmate is her worst enemy and her long-dead mother might actually be a nymph living in Eden, you just have to feel for this girl and become invested in her story... and her fate. Book One sets up the series beautifully and leaves the story on a suitable cliff-hanger. Will Lainie give into the temptations of Eden, or will she choose real-life and love over a fantasy world? I am definitely left intrigued to read Book Two - Sanguine - and excited to hear that Odyssey Books have backed this Australian novelist's work with the release of a third in the series - Sympath. 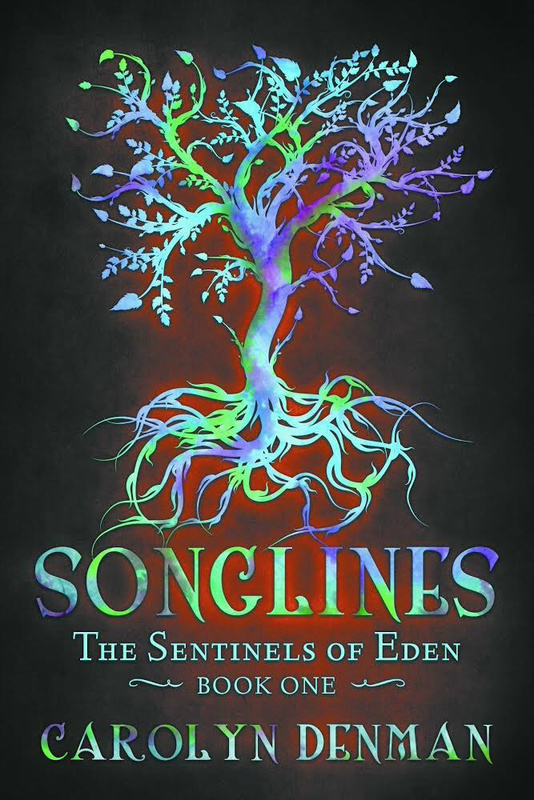 Recommended For: Songlines is promoted as YA Fantasy for readers 12 and over and from a reviewer's perspective, I wouldn't disagree, but I would elaborate with a comparison of a peer-title from the same publisher. Elizabeth Foster's 2017 novel Esme's Wish, is also speculative fiction. It's dosed with realism but whereas I would recommend it for late primary and early YA readers with it's friendship-focus, I would suggest The Sentinels of Eden series is for a high-school teen audience, with mature themes of emerging identity, coming of age, violence and sexual attraction. 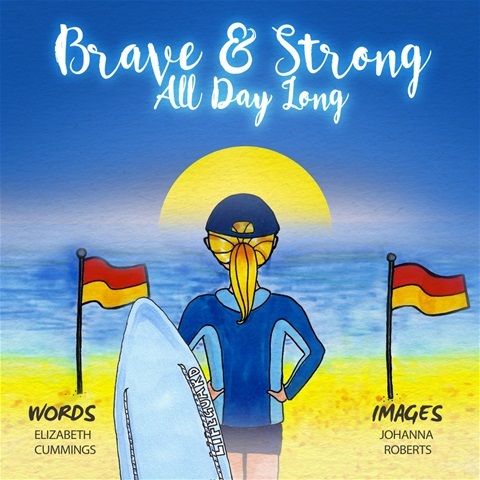 Thursday 7 December, the 'Poo Book' Blog is delighted to introduce Elizabeth Cummings and her latest picture book from the Verityville series, Brave and Strong All Day Long, as a part of her Books On Tour promotion." The Intro: Welcome to the next stop on the Brave and Strong All Day Long Books On Tour #BlogDash #Day4. The ‘Poo Book’ Blog is delighted to review Elizabeth Cummings’ new picture book, based on the early life of beach trail-blazer, Fiona Borg. About the Author: The emerging star of late 2017, is Elizabeth Mary Cummings. With two new books for children released within months of each other (Dinner on the Doorstep and Brave and Strong), and a contribution to the Creative Kids Tales Story Collection (out now), this is one busy full-time writer and self-publisher. With eight books under her belt and more on the horizon, Cummings has worked hard to hone her craft and writing business. With Brave and Strong, the author is starting to reap the recognition she deserves, with the full support of Randwick City Council behind her publication, celebrating local hero and council lifeguard, Fiona Borg. 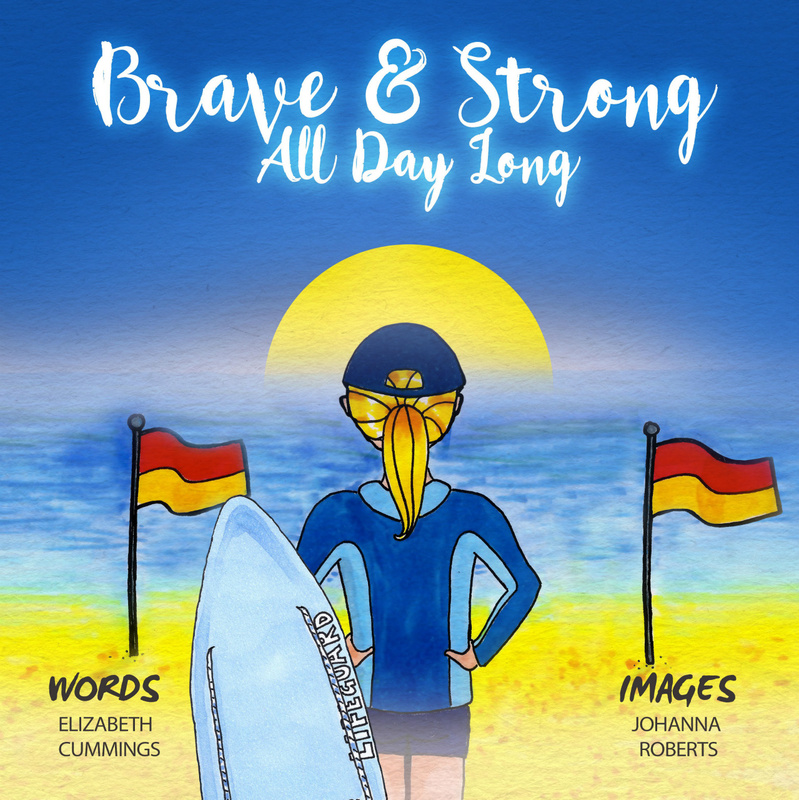 On 12th November, South Maroubra Surf Club hosted the successful launch of Brave and Strong, accompanied by an informative article on council’s website. Elizabeth has been enjoying the promotional trail for her new, summer ‘book baby’ and storytelling sessions for the book through the Randwick Council Library network. About the Book: At a time when the children’s picture book market is more crowded than ever, publishers are espousing the attraction of ‘authentic voices’ and are more open to stories from marginalised groups than ever before, particularly in the form of non-fiction narrative. Brave and Strong identifies an inspirational, real-life protagonist, who represents a minority; a female lifesaver in a male-dominated field. Retelling the story of Fiona Borg’s bravery and lifelong commitment to surf and rescue, Cummings finds that ‘authentic voice’, bringing a little-known story to life in a colourful and relatable book. The moral is staying true to who you are, and overcoming social preconceptions of what girls can and can’t do. The Plot: This is a wonderfully simple tale for young readers, tracing Fiona’s childhood in the surf, teased for her pink swimsuit and surfboard, to her early rescue successes and her determination to join the surf club. Though her notable efforts, she proves to her community that she is just as brave and strong as any of the boys and commits to a career saving lives in the surf. All this at a time when many of her female peers may have felt put off by the boys’ club culture. Seeing the idea for this book on Elizabeth’s social media pages made me wonder why there aren’t more of these stories for children, in a culture as beach-obsessed as Australia. Cummings has hit upon a perfect niche here with not only a book containing strong role modelling for young girls but an all-important water safety message for the perils of the surf, including rips and shore dumps. Johanna Roberts’ clear, colourful and instructional illustrations, are striking against the white background, with effective use of space in the interior pages. It was the cover, however, that instantly drew me to the book, with its use of rich blues for the ocean and the yellows and reds of the beach safety flags; an iconically Australian combination of colours. Recommended For: Brave and Strong All Day Long is targeted at readers between 3 to 8 years and I can see it filling two purposes, if you look at the unique needs across this age group. With the rise of Nippers culture and beach safety in children of ever younger years, I would recommend this as a read-aloud book for parents of 3 to 5-year-olds. It’s a great discussion starter on surf safety. For pre-school-aged children and the 6 to 8-year-old (self-reader) bracket, it’s a clever opportunity for parents to ask their kids how they feel about perceptions of what girls can do vs. what boys can do. Brave and Strong shows that girls can do anything they put their minds to. If beach or other sport activities are up their alley, they should pursue them without hesitation. Teaching Points: Issues of water safety are raised in Cummings’ story and illustrated by Roberts’ diagrams of rips and rescues. Early primary teachers will no doubt find this picture book a useful resource as it encourages an awareness of the power of the surf. This is an ever-important message in a multi-cultural society with easy access to some of the most beautiful but dangerous beaches in the world.